The biggest Jewish association in the EU has called on lawmakers in Brussels to let Jewish people carry guns “for the essential protection of their communities” in the aftermath of Paris shootings. “The Paris attacks, as well as the many challenges and threats which have been presented to the European Jewish community in recent years, have revealed the urgent need to stop talking and start acting,” saysa letterwritten this week by Rabbi Menachem Margolin, general director of the European Jewish Association (EJA), the biggest federation of Jewish organizations all over Europe. That’s why the Jewish community is demanding that European governments “make sure that the entire Jewish institution in Europe will be completely secure,” he said. On Friday, Jewish schools in the Belgian cities of Brussels and Antwerp decided to cancel classes over terror threats. “We were informed that we are a potential target and therefore we are taking no chances,” Isi Morsel, head teacher of Belgium’s largest Jewish school, Jesode Hatora, told AFP. A delegation from the European Jewish Congress (EJC) spoke to EU foreign policy chief Federica Mogherini on Wednesday, calling on Brussels to create a pan-European body to combat anti-Semitism. “Now more than ever, the European Union needs to create a position and organization specifically geared toward finding long-lasting solutions for anti-Semitism and other forms of racism,” EJC president Dr. Moshe Kantor said. One of the countries that has attracted thousands of Jews over the last two years is the UK. However, according to a YouGov poll, commissioned by the Campaign Against Anti-Semitism (CAA), Britons are not so tolerant toward the Jewish population, as about 45 percent of Britons hold anti-Semitic views. Following Charlie Hebdo attacks, Israeli PM Benjamin Netanyahu invited Jews from France and the rest of Europe to immigrate to the state of Israel, referring to what he sees as a “rising tide of anti-Semitism” there. 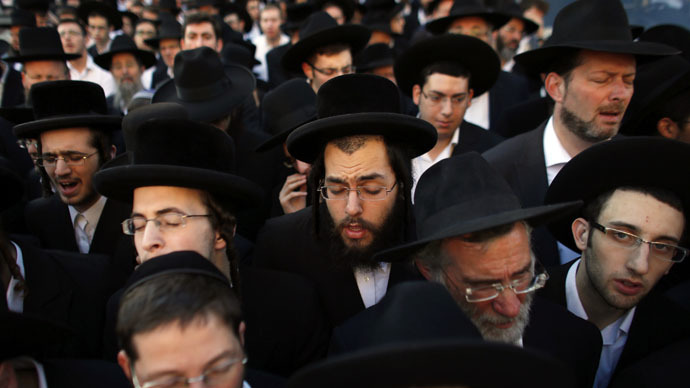 At least 7,000 Jews immigrated to Israel last year, fearing anti-Semitism in the EU. Israelis officials expect a new influx of immigrants following the Paris attacks. "On Monday I am going to make Aliyah [the term meaning the immigration of Jews from the diaspora to Israel]," Yohan Cohen, one of the hostages who hid inside a freezer at the kosher grocery store in Paris told AP. "We are not going to wait around here to die."